Enjoy a night at the opera without having to leave the comfort of your own! What's more is that you also get the opportunity to win nearly 100,000 coins. The logo of Fat Lady Sings acts as a wild symbol and will complete more winning paylines by substituting itself for missing symbols. Want more? 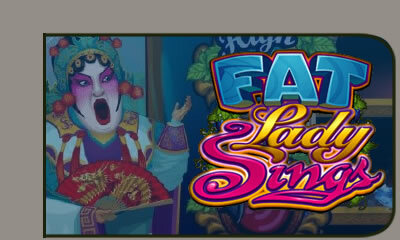 Well players can also double or quadruple their winnings in the Fat Lady Sings gamble option. All you have to do is predict the next playing card’s suit or colour and increase your winnings. advanced features including Free Spins galore, Scatters, an innovative bonus system, Wilds, generous Multipliers, and a Gamble feature to keep you entertained for ages.